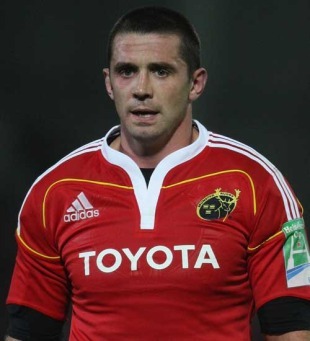 Munster flanker Alan Quinlan will call time on his career at the end of the season. The 36-year-old confirmed his intention to retire on Wednesday, having been included in the Munster squad for their Magners League meeting with the Scarlets this weekend. Quinlan made his provincial bow in 1996 and has since played 210 competitive games for Munster, winning two Heineken Cups and the Magners League. At international level he was capped 27 times by Ireland and selected for the 2009 British & Irish Lions only to be prevented from touring by a 12-week ban for gouging. "Alan was a players' player, whose impact in big games and ability to turn a negative situation into a positive action made him a great player to have on your side and a crowd favourite," Munster boss Tony McGahan said. "His decision to call it a day at the end of this season of course evokes a sense of poignancy for all of us who have worked with him but it's balanced by the knowledge that he can look back on a great career with pride at what he's achieved."